Beautiful home with triple car garage. Outdoor Kitchen with Stacked Stone Fireplace. Master suite downstairs. Gourmet Kitchen has a work island, granite counters, gas cook top, double ovens & breakfast area. Computer Area off Kitchen. Large Great Room and Family Room. Inviting sun room opening onto covered stone patio with outdoor kitchen and stacked stone fireplace. Upstairs Media Room, Playroom and 3 bedrooms. Lots of Hardwood Floors, beautiful moldings and much more. Call Your Realtor Today! Walking paths, lakes, pool and clubhouse. 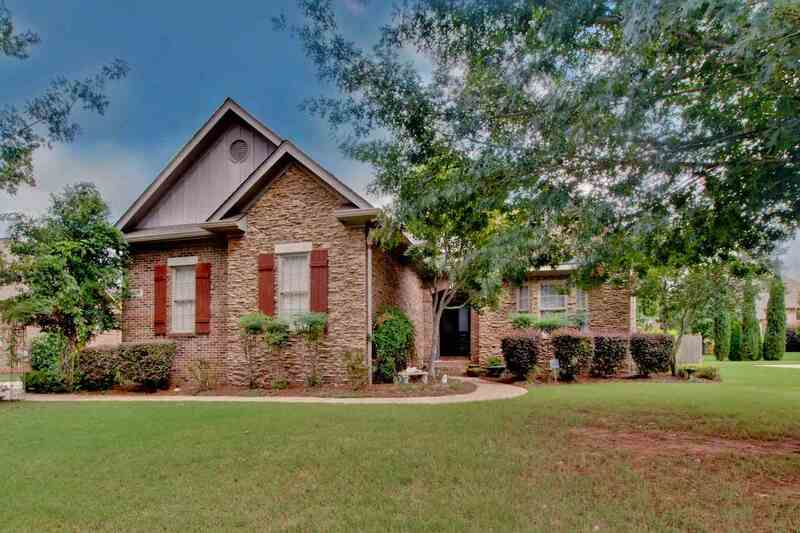 This home sits on a quite cul-de-sac walking distance to a community park.